New York garage rock greats The Fleshtones have a new 7″ that’ll be out May 31 via Yep Roc. The a-side is a cover of Canadian blues rocker David Wilcox’s 1987 single “Layin’ Pipe.” The original couldn’t be more ’80s Rock, with electro-drums, synths and not the most subtle of metaphors, but The Fleshtones turn it into one of their own, though it’s harder than what we normally associate with their patented “Super Rock” sound. Check out the lyric video, made with vintage footage of actual pipe laying, which premieres in this post, below. 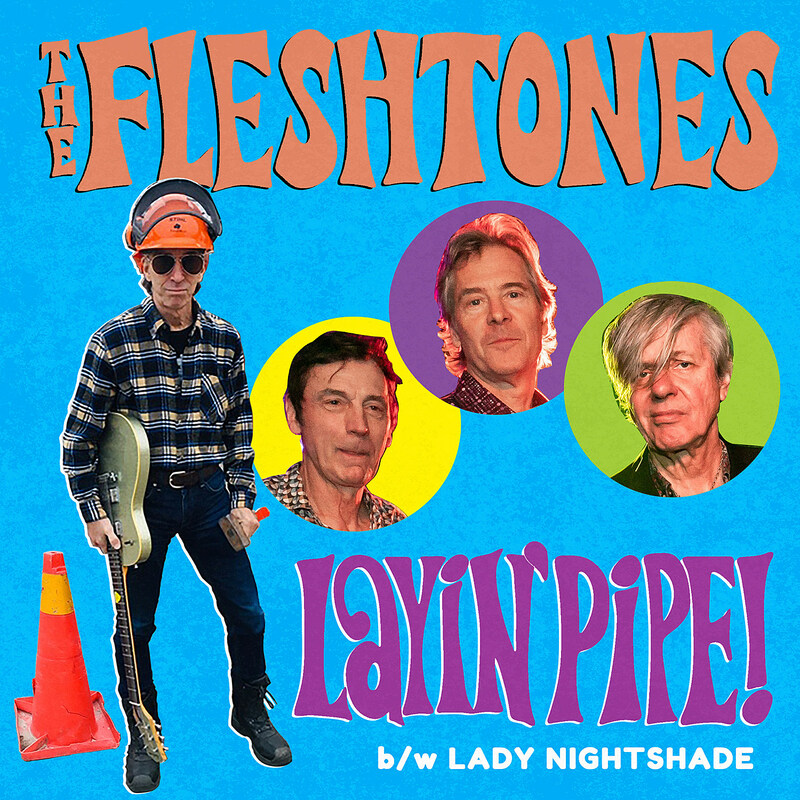 The 7″ features new Fleshtones original “Lady Nightshade” on the flip and is available to preorder. The Fleshtones are heading to Europe this weekend for a spring tour that hits Spain, Germany, Switzerland and Austria. Their only US date at the moment is Rochester, NY’s Rockin’ Rochester Weekender in July. All dates are listed below.